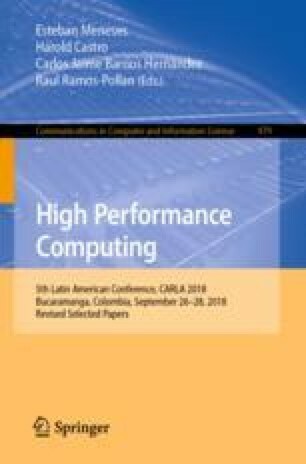 Where Do HPC and Cognitive Science Meet in Latin America? In the last few decades there has been a noticeable shift of attention of the high-performance computing (HPC) applications development community from deterministic to heuristic models of problem solving, mainly due to observation that models based on human knowledge and expertise have proven to be good approaches to solving complex problems. Also, a shift of artificial intelligence (AI) to HPC has occurred, as AI researchers now find in HPC the means to build more complex models of human cognition. This is in general the case, and it is also true in the Latin America region. On the other hand, in this region there seems to be an estrangement between the cognitive science (CS) and the AI communities, perhaps due to the shift of AI to HPC and the resulting change of attention of AI researchers. However, there is a noticeable increase in the number of academic programs in the region focusing on CS. In this article we provide evidence of the previous assertions and propose a list of suggestions or recommendations on how to bring the HPC and CogSci communities closer in the region, as well as the potential benefits of such a process. The author wishes to thank the Organizing Committee of the CARLA 2018 conference for the kind invitation to participate as a speaker and as a contributor to these selected conference proceedings.